Any locksmith will tell you that WD-40 is not a lubricant. WD-40 will work great as a solvent and can be used to clean the internal parts of the lock. Once these internal mechanisms are clean, you want to use something like corrosion X or a silicon lubricant to lubricate the parts. This process will prolong the life of your lock. Most likely, the lock you have on your front door, is a pricey number from Home Depot or Lowe’s. We know front door locks don’t come cheap so keeping them maintained in good shape is important. I’ll says “having a lock that is hard to open with your key can cause big problems for you down the road” says Al. “I’ve seen people who put off maintaining their locks only to have the lock becomes so tight when you try to turn it with your key, that your key brake shop inside the lock.” At this point a locksmith would have to either remove or replace your lock or take the entire lock apart clean it and reinstall it. You’ll also be charged an additional fee for broken key extraction. Special tools may be required to extract keys that break off in a lock. 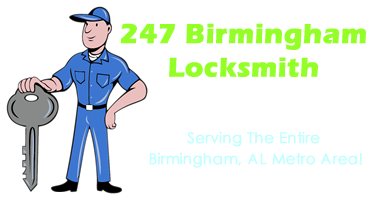 Next time you have a locksmith out to your home weather here in Birmingham, out in hurricane Utah or anywhere else, have your technician run a quick maintenance on your locks. It’s cheap and easy to have maintenance done but it’s a big pain when you have to get your locks replaced.